Pomello - Stay focused. Accomplish more. Pomello turns your Trello cards into Pomodoro® tasks. This little timer is packed with features to supercharge your productivity for your daily tasks or life-changing dreams. Uses Trello to organize your tasks. 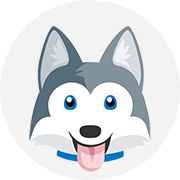 This means all the extra goodness that Trello has to offer. Employs the popular Pomodoro Technique, a tried and true method to supercharge your productivity. Uses minimal screen real estate with its simple but intuitive interface. Yet its still packed with tons of features. "Thank you for this amazing app. It helps me keep track of time and get my tasks done on a daily basis." "After using Pomello for about a month now, I must say, it single handedly skyrocketed my productivity." "This is the best thing that ever happened to me. Thank you for this tool. It is helping me focus so much better." Thousands of people rely on Pomello to stay productive and accomplish more. Find out why. Pomello is available for free on Mac, Windows, and Linux. Trello is a project management tool that organizes projects into lists and cards. It gives a visual overview of what's being worked on and where something is in a process. Its versatility makes it an effective tool for organizing large projects or managing daily tasks. The Pomodoro Technique is a productivity method that breaks down tasks into timed intervals. These intervals—called pomodoros—are traditionally 25 minutes long and separated with 5 minute breaks. 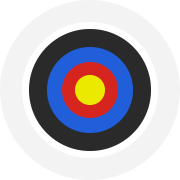 The technique is easy to adopt and applies to any task or project. Pomello is not affiliated, associated, authorized, endorsed by or in any way officially connected to Trello, Inc.
Pomello is not affiliated, associated, or endorsed by the Pomodoro Technique® or Francesco Cirillo. 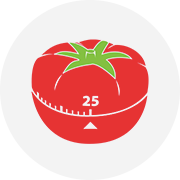 Pomodoro Technique® is a registered trademark by Francesco Cirillo.